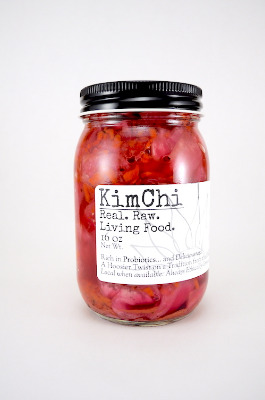 Q: Is this kimchi spicy? Are the peppers hot peppers or bell peppers? Thank you. April 13th, 2019 person_outline Jennifer T.
A: Yes. We have not been certified by a third-party, but we do not use any ingredients that are gmo. In fact, all of our ingredients are certified organic, but we have not pursued organic labeling because we like to keep the door open to smaller farms that follow organic practices but have not become certified. However in all of our current batches even the local produce is from certified organic farms, which is verification that none of the ingredients are genetically modified. Thank you for your interest and for eating clean food! April 13th, 2019 person_outline Heather W.